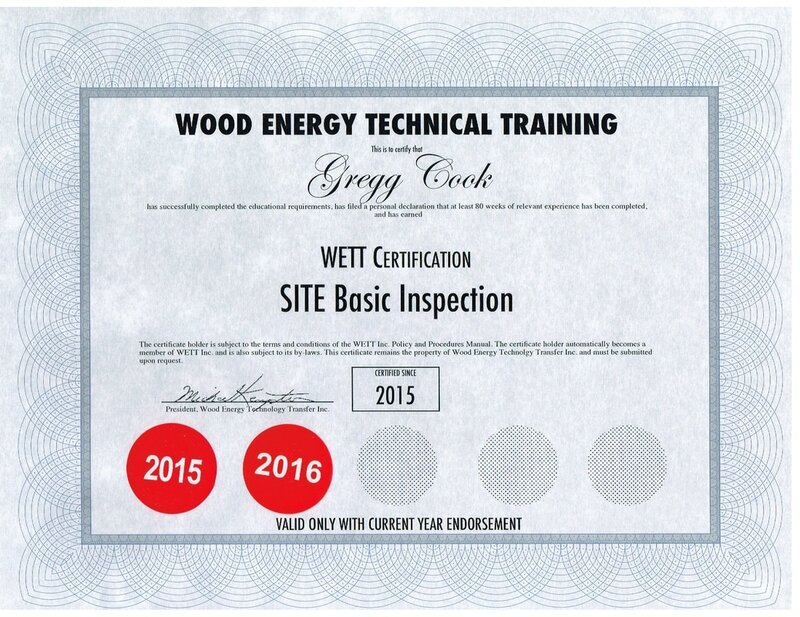 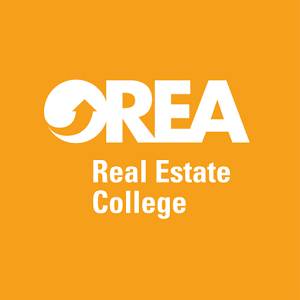 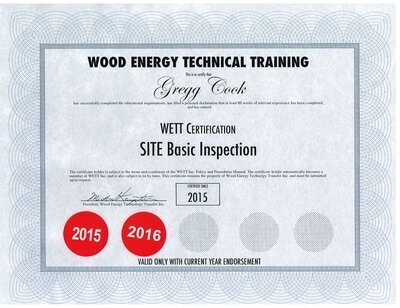 National Home Inspector (NHI) #00905 - Certified by the National Home Inspector Certification council. 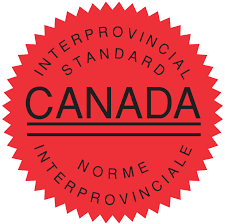 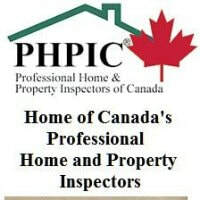 Professional Home and Property Inspector (PHPI) - Certified by the Professional Home and Property Inspectors of Canada. 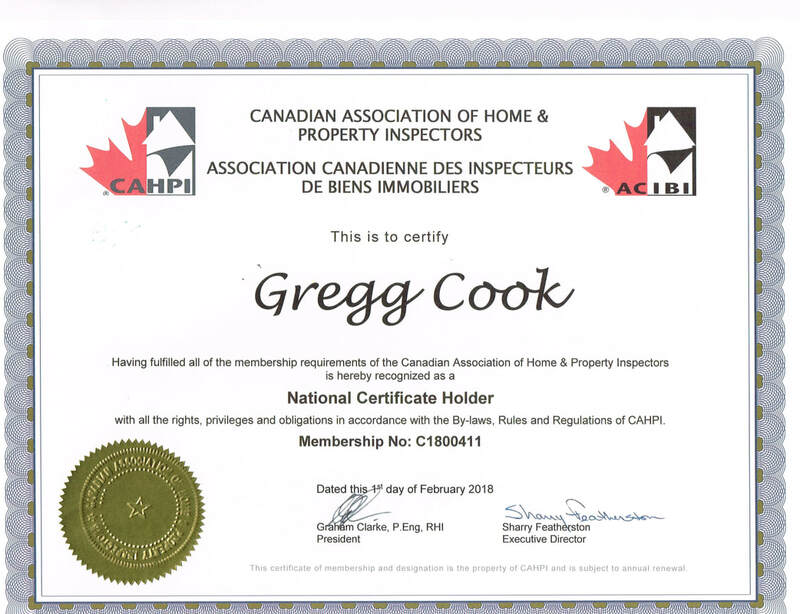 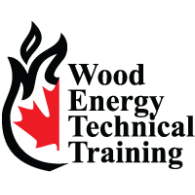 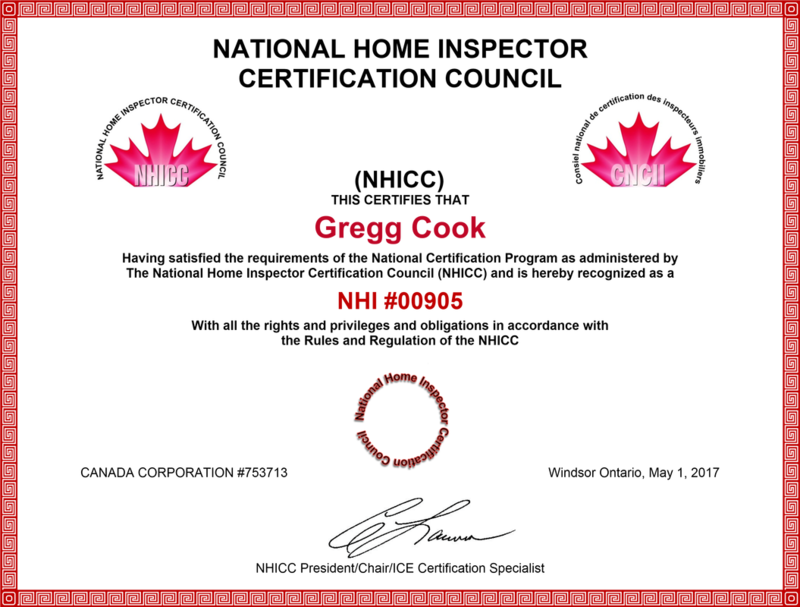 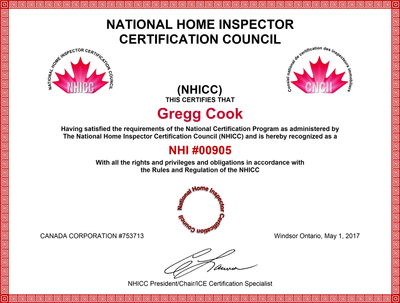 National Certificate Holder (NCH) - Awarded by The Canadian Association of Home & Property Inspectors.